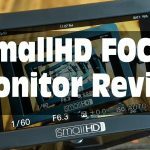 The following review is part of our ongoing monitor review series here on LensVid which started with the smallHD Focus, but this one is actually a little bit different. The GeChic 1102 is not a dedicated video monitor but taking into consideration its size, price and feature set, we believe that some photographers and videographers might be interested in it. * Before we start a quick note – the GeChic 1102 has two versions – the onlap 1102H which is the unit that we tested and a touch version called the onlap 1102l. The GeChic is made from plastic but the optional VESA plate that you can use to hang it is fully metal as is the metal plate that is used to connect it to a light stand or a tripod. The unit measures 29 cm (11.6″) over 19cm (7.5″) which makes for an 11.6″ diagonal screen. The bezel is kind of thick (half an inch on the sides and a full inch on the lower part) but this isn’t too bad in case you need to hand hold it. The screen weighs 480 g (or 16.9 oz) making it very lightweight for its size. 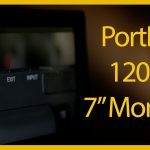 The 1102 is unique compared to any video dedicated monitor that we know of in that it comes with a 7800mAh Lithium Polymer battery is built in. The screen has several connections including a micro USB for power (the unit comes with a dual USB-A cable for charging faster from lower power sources such as computers or USB power banks, while for AC you will only need one connected to the supplied wall charger). The unit has a micro HDMI and it comes with different HDMI cables (micro-HDMI and Micro-mini-HDMI although we had to use an adaptor for micro HDMI to micro HDMI which is what our Sony A6500 uses). There is a second micro HDMI connection which has VGA marking on it and we were not able to make it work as a second HDMI input. The screen does have a headphone jack which is nice as well as two speakers on the top which are significantly more powerful than most camera speakers or speakers on video monitors – which is nice although we do suggest that you use headphones whenever you can. The only other connector is a Kensington Security Slot if you want to lock the monitor. The GeChic uses a 1080p IPS panel with 300 cd/m² brightness and 800:1 contrast ratio very decent viewing angles and an O.K. visibility during daytime (although working in direct sunlight will be difficult). The unit has five small buttons on the right side including an on/off button, brightness (which didn’t seem to do much), menu/O.K. and up/down (or in some menus left-right buttons). As we will mention later – working with the buttons and menus takes some use to but for the most part you won’t need them. The GeChic has quite a few mounting options which set it apart from most video monitors. 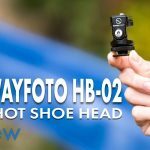 The includes a flexible desk stand, an optional metal VESA mount and what is probably most relevant to photographers and videographers, a metal bracket with a very thin 1/4″ 20 thread on the bottom (we would prefer a more substantial base that can hold a quick release plate without turning). 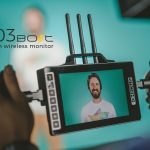 Since the smallHD focus has no HDMI output and the two next monitors that we will be testing here did not arrive yet, we had to connect the monitor directly into the camera and not daisy chain it like we would probably do otherwise. W can’t really recommend working with this display as a primary monitor – it wasn’t designed for that, it has no video assist features (not even 1:1 magnification which we feel is an essential bare minimum for a primary video monitor), plus we didn’t find the colors to be extremely accurate and they do tend to be too warm for the most part, although you can manually calibrate them and you do have a few options for that. For assessing composition and framing though this isn’t a bad monitor and you can even work with it outdoors to a degree (although it has no sun hood so direct sunlight will probably not work). We loved the idea of a built-in battery in such a small and light panel at this size. 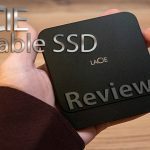 Any similarly sized dedicated video monitor will require large and heavy batteries for several hours of use time and the GeChic was able to go for almost 3 hours on internal battery in our testing and with the ability to charge it from a dual port USB power bank it just becomes that much more versatile. What we didn’t really like about it are the buttons and the interface. The buttons seem too small and too close together and more often than not we found ourselves pressing the wrong one by mistake plus the whole interface feels a bit cumbersome and unnatural. The power button in particular acts very strangely and didn’t always power the monitor (especially without an HDMI cable attached) and we had to press it several times (this seems like a software and not a hardware thing mind you). 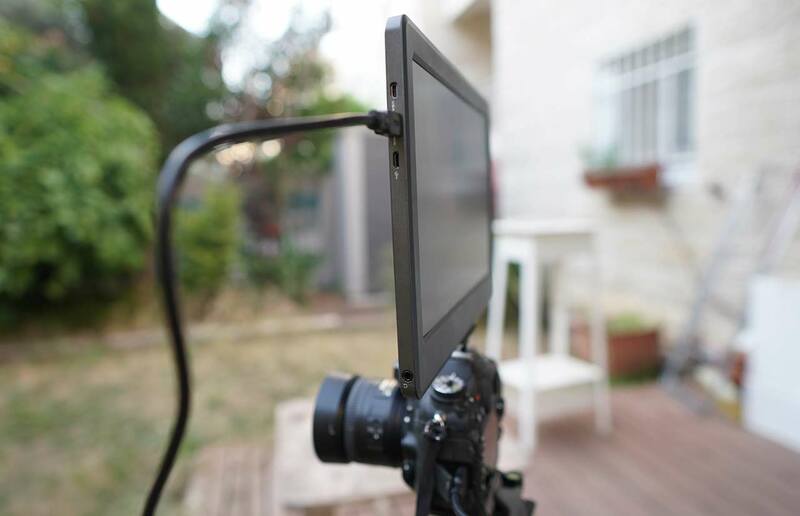 The monitor’s different mounting options are a great bonus and can be very helpful for different use cases (putting the monitor on a table, next to a laptop or on a stand or even a tripod (you can connect it to your camera but we would not recommend this since this isn’t meant to be a primary monitor and it is too big anyway). 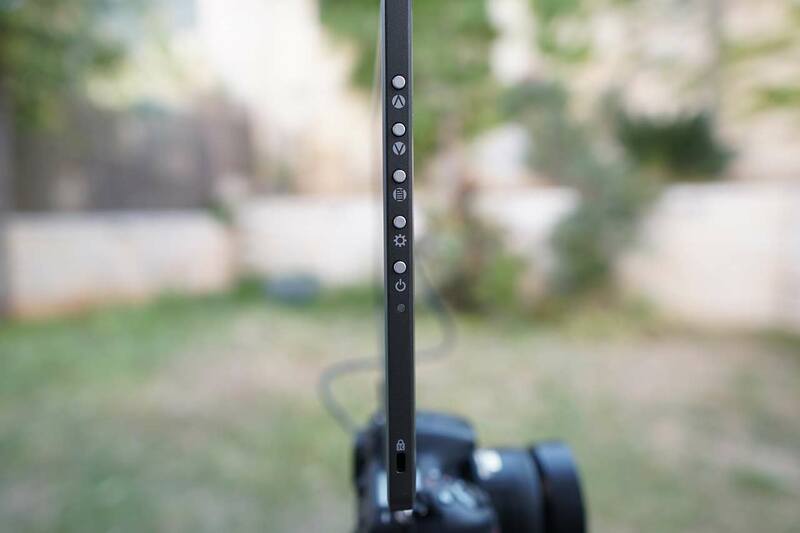 Our only concern here is that you need to use very tiny screws which don’t always seem to connect well to the thin monitor and as we have mentioned before – the 1/4″ 20 bracket is way too thin and doesn’t hold our RC2 plate whiteout spinning. 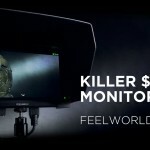 The GeChic is a very versatile monitor. 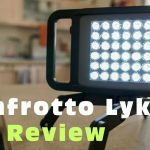 At almost 12″ It is much larger than most videography dedicated monitors but still very lightweight and portable and since it includes a built-in battery and can be powered using a USB power bank you really don’t need to worry about power that much. 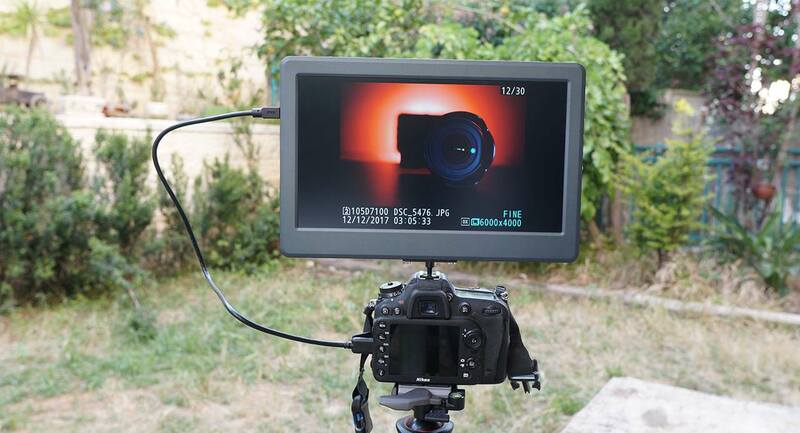 The monitor performs pretty well outdoors, has very good viewing angles and can be very useful for accessing composition and framing. It does have some quirks though. It doesn’t seem to like to power on without an HDMI cable attached and navigating the menus can be a bit tricky. More importantly for video work, the colors on this monitor tend to be on the warm side and although you can do some manual calibration we could not get them to be 100% accurate to our eyes. As for pricing, for a 12″ IPS monitor that has its own battery, paying under $300, it is currently out of stock until July-August 2018 according to GeChic (we were able to find the touch version of this monitor called the 1102l on Amazon selling for $320) seems like a really great price – especially if you consider using it as a secondary monitor for on the go work with your laptop. So our bottom line is simple, If you are looking for a second or even third large monitor to be used as for a client/talent or even a director’s monitor at a pinch and can live with a few quirks GeChic 1102 is a pretty attractive option.